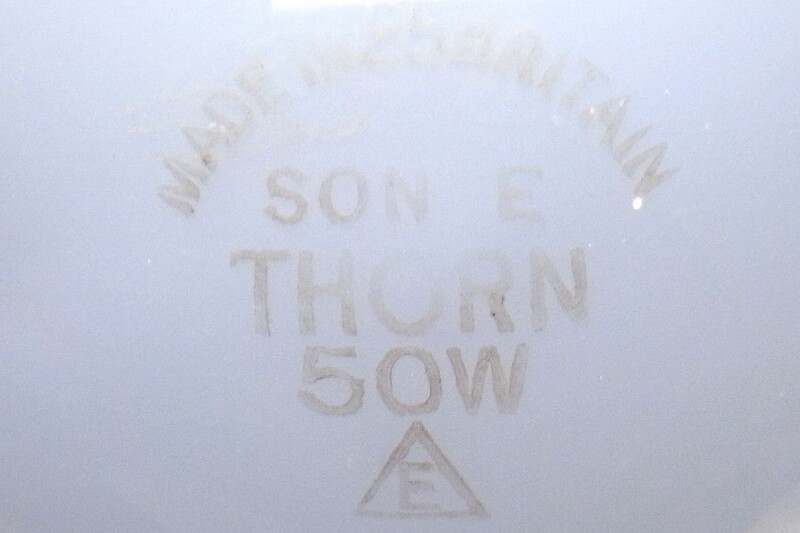 Thorn was the first European manufacturer to introduce a low power 70W HPS lamp, its first model being launched in 1976. 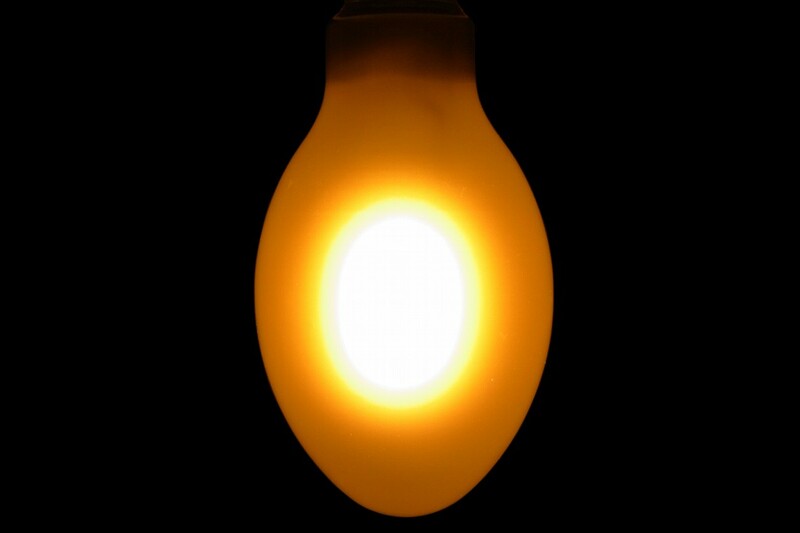 The initial market was foreseen as a replacement for low wattage mercury fluorescent lamps, and as such it was offered only in a diffuse ovoid bulb. The intention was to mimic the surface luminance, size and shape of the mercury lamps, thereby permitting operation in similar luminaires. Thorn's low wattage diffuse SON lamps were unique in that they employed pearl glass bulbs, internally etched with a mixture of hydrofluoric acid and ammonium bifluoride, whereas all other competitors applied a powder coating to the inside of the glass. Thorn's process was a natural development of the pearl mercury lamps still being produced by that company at the time when low wattage SON lamps were first introduced. It offered a number of advantages vs powder coatings. 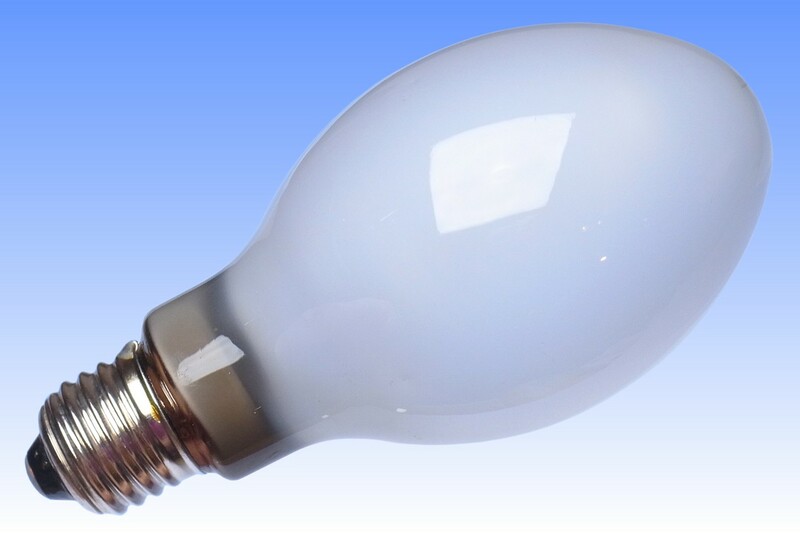 Firstly, no impurity materials were brought into the lamp's outer jacket - all powder coatings bring moisture into the lamp, which has to be thoroughly baked out to avoid production of hydrogen and oxygen in the bulb, both of which are deleterious to arc tube performance and lifetime. Secondly, the light transmission of the pearl bulbs is superior, helping to achieve a marginally higher luminous flux than competition. 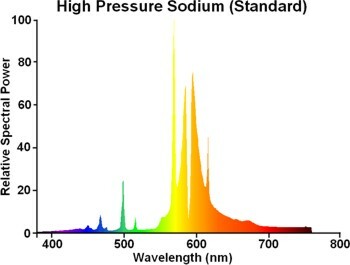 The level of light diffusion, however, is not so good as powder coatings, which is evidenced by the 'hot spot' in the illuminated photograph. The arc tube in this lamp is of Thorn's most advanced 50W design, employing narrow bore niobium tubes and step-shaped PCA end plugs. This design prevents amalgam coming into contact with the feedthroughs and the resulting rectification and blackening that may otherwise occur. References: 1) GE-Thorn UK Lamp Catalogue 1991. 2) GE-Thorn UK Price List, March 1992. 3) Thorn Lighting Provisional Datasheet 4:96.4 SON-E 50W, January 1982. 4) Thorn Lighting Datasheet 4:96.4 SON-E 50W, January 1983. 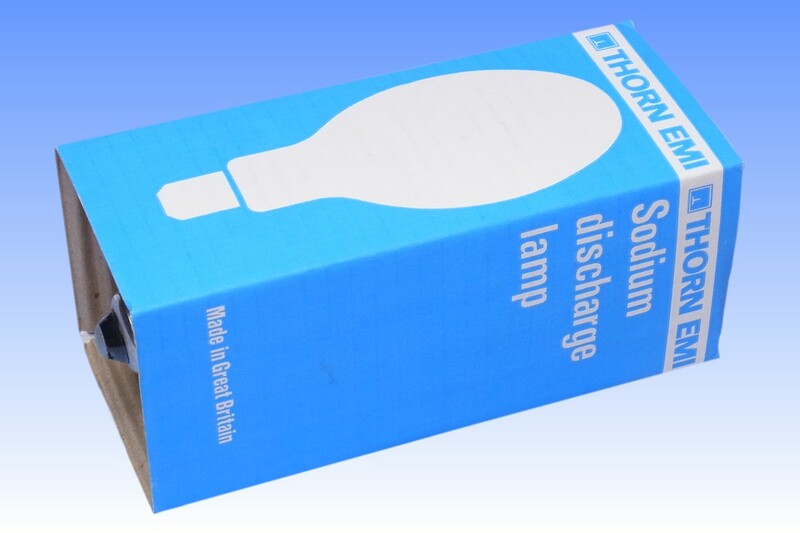 5) Thorn Lighting Product Data Sheet 50/70W SON-E 96-0070A, 12-10-1988. 6) Thorn Lighting SON Manufacturing Specifications.